Registered nurse schools in South Dakota prepare aspirants to work in a medical field that is ever changing and challenging. Through a number of meticulous programs, students will learn how to diagnose a disease and administer medication to patients. Clinical sessions of the program help candidates perform laboratory work skillfully. If becoming a registered nurse is your aim, come and explore wide ranging programs in South Dakota. The aspirant should not be less than 18 years. One should be proficient in English language. The candidate must have finished high school education. Students are expected to clear the criminal background check and drug test. A valid photo ID and address proof should be submitted at the time of application. One should clear the pre-entrance test called Test of Essential Academic Skills (TEAS), if the institution in which you intend to take admission requires so. Every candidate ought to submit all the necessary documents. You should submit your fingerprint report. There are several pathways to become a registered nurse. All the given below programs offer on-hand program at various healthcare settings as well as theoretical knowledge. Associate Degree in Nursing: An associate degree is a 2-year program that prepares aspirants for professional nursing roles. The curriculum cultivates ethics and professional values, develops therapeutic communication skills and includes hands-on clinical practice along with profound theory. Bachelor of Science in Nursing: It’s a four-year coursework that includes an in-depth study of liberal arts, social sciences and an extensive range of skills. The whole curriculum is sequenced in a unique manner to promote application of knowledge. Accelerated BSN Degree: It is a 16-month program designed for non-nursing bachelor degree holders. It builds strong foundation and includes a wide-ranging curriculum that covers courses in humanities, behavioral and biological sciences. LPN to RN: This degree program allows LPNs to pursue an advanced course that will strengthen their base and develops required competency to meet the current demands of this healthcare sector. RN to BSN Program: This option is for licensed RNs who either hold a diploma in nursing or an associate degree. RN to BSN track assists them complete their bachelor degree. It strengthens leadership and communication skills and hones their critical thinking. 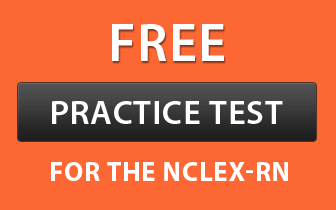 Graduates from any of the above mentioned courses can apply for the NCLEX-RN exam. Master of Science in Nursing: Master degree allows you to explore this field from a new perspective. It prepares you to work in a specialized area such as certified nurse midwives, nurse practitioners, certified clinical nurse specialists, or certified nurse anaesthetists. Doctor of Nursing Practices (DNP): It is a practice-focused degree that offers additional skills and knowledge which enables nurses to frame and implement effective strategies that can solve healthcare problems. A list of accredited colleges in South Dakota that offers various nursing programs to RN aspirants is provided below.